Aboard the Disney Dream Pt. 3 - Super Inky! Hi everyone! It's me, Inky! I keep forgetting to finish my posts about my spring break trip with my friend Brooke and her family. 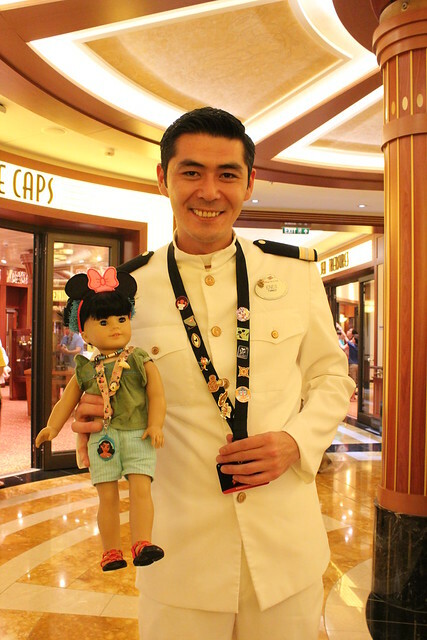 On the last day of our cruise, Brooke was very, very excited for Officer Pin Trading night. We each had a lanyard with pins on it to trade. Brooke's had a big Elsa charm and mine had a big Moana one. I had never been to a pin trading event before, but Brooke definitely made me feel included and excited too! We had a long day at sea to enjoy first though! 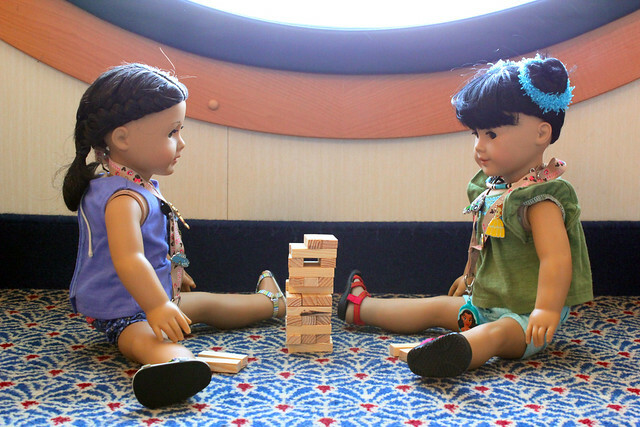 We played Jenga in our stateroom in front of our big porthole window. Then we went and saw Beauty and the Beast in the theatre on board the ship. It was so cool! I had never been inside a movie theatre on a ship before. Plus, Beauty and the Beast is one of my favorite fairy tales. I loved all the songs in the Disney version. 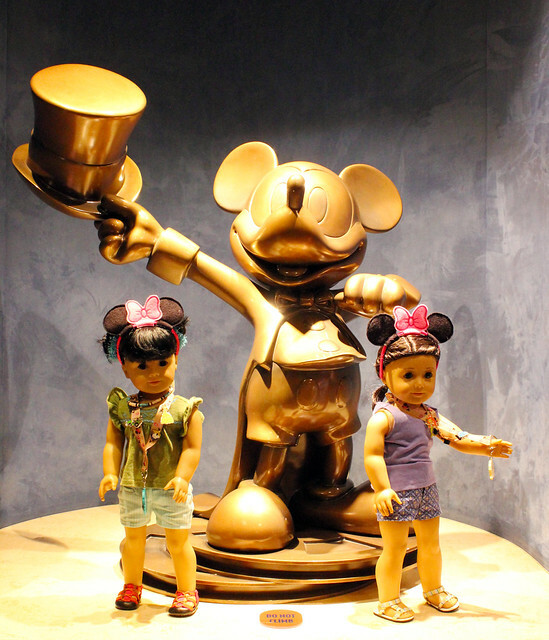 After the movie, we posed with a big statue of Mickey. It was finally time for the pin trading event after dinner. The officers wore their clean white uniforms. They looked great! I had so much fun, even though I didn't know much about pins. Brooke knows how to spot the counterfeit pins and she was showing me lots of little tricks and telling me facts about the pins. After the busy event, it was time to head to bed. The next morning, we would arrive in Florida again. I had a great time on my first Disney cruise! I didn't blog about it, but Brooke and I had fun playing at Castaway Cay and swimming with dolphins at Atlantis in the Bahamas. I'm so glad Brooke invited me to join her family! 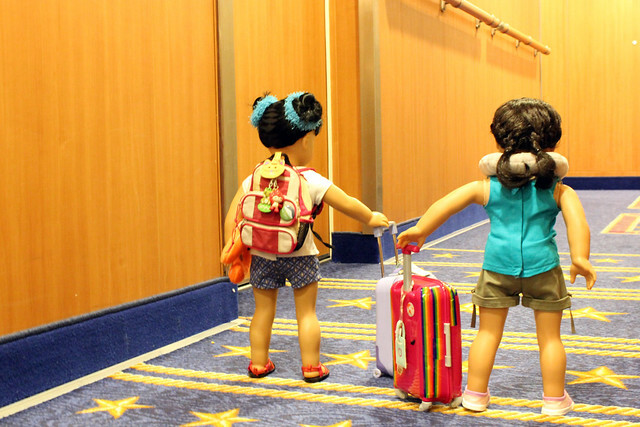 It was sad to roll our bags off the boat and into the big arrival building. After a bus ride, we were already back on the plane to New York. See you again soon, Disney Dream! That sounds like soooo much fun Inky! My Grandmother says you're a great writer! I'm an adventurous girl who loves travel and National Parks. 10 Years of Blogging: Remembering 2006 and 2007! Bienvenue Chez Les Ch'tis: Le blog de Sabine et ses amis! Trends to Sew: Jackets! Part One!